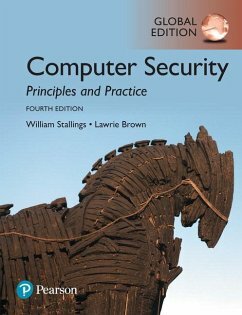 For courses in computer/network security Balancing principle and practice—an updated survey of the fast-moving world of computer and network security Computer Security: Principles and Practice, 4th Edition, is ideal for courses in Computer/Network Security. The need for education in computer security and related topics continues to grow at a dramatic rate—and is essential for anyone studying Computer Science or Computer Engineering. Written for both an academic and professional audience, the 4th Edition continues to set the standard for computer security with a balanced presentation of principles and practice. The new edition captures the most up-to-date innovations and improvements while maintaining broad and comprehensive coverage of the entire field. The extensive offering of projects provides students with hands-on experience to reinforce concepts from the text. The range of supplemental online resources for instructors provides additional teaching support for this fast-moving subject. The new edition covers all security topics considered Core in the ACM/IEEE Computer Science Curricula 2013, as well as subject areas for CISSP (Certified Information Systems Security Professional) certification. This textbook can be used to prep for CISSP Certification and is often referred to as the 'gold standard' when it comes to information security certification. The text provides in-depth coverage of Computer Security, Technology and Principles, Software Security, Management Issues, Cryptographic Algorithms, Internet Security and more.